ESPN published in October 8th 2012 a very touching article about the avalanche fatalities in the US during the 2011-2012 Winter. I encourage to read this article. Megan Michelson writing is superb, and I hope all of you relish as much as I did the essence of her writing, where she celebrates the life of all of these special people. Please take your time to browse through the pictures and their captions. Captions are shown by moving the cursor to left-lower corner in the browser screen. Before the backcountry ski season gets going, make a point to take action in reducing the risk of avalanche incidents and injuries to yourself, family and friends. This is the least we can do to honor the lives of the folks that died last year in Avalanches. 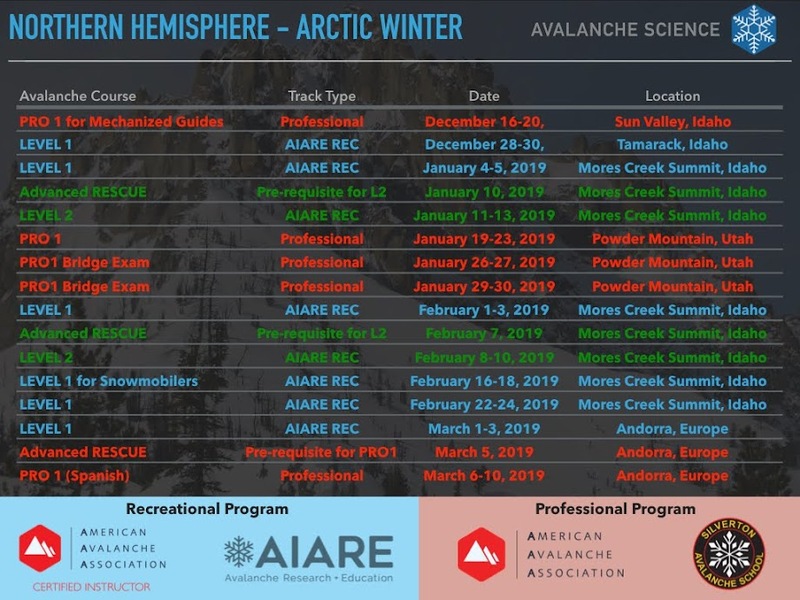 Take an Avalanche course. If you have not taken a course in more that 3 years it is time to take it again. There are NEW concepts and improved decision making methodologies! Take a CPR class, or better sign-in for a Wilderness First Aid Class. Check with BSU, they have a class scheduled for December. Ask your CPR provider to cover the NEW Avalanche rescue protocol. It is important that your backcountry ski partners have Avalanche and CPR training. Be the change, motivate them to acquire new skills. Replace the batteries of your 2/3 antena transceiver. Replace ANY 1 antena transceiver with a three antena transceiver. Buy a sight through clinometer. Slope angle is the KEY to Avalanche risk mitigation. Make sure you have a head lamp in your winter backpack. If you do, replace the batteries. Prepare a fire starting kit and stash it your winter backpack. It is amazing how pleasant it can be next to a fire during most wintery weather that Idaho can throw at us. And fire material is always plentiful at the places we like to ski. Replace your 3-4 year old aluminum shovel with a NEW shovel, aluminum has a bad habit of fracturing after few years of use. Buy only a shovel with extendable handle & made out of metal. Plastic/Lexan shovels do not work in avalanche debris. Replace your 2 meter or unreliable old technology search probe. Buy only a 3 meter search probe with meter markings. Consider acquiring a Balloon Back Packs (also known as ABS Backpacks). Evidence continues to grow and support their efficacy in reducing avalanche mortality. Consider getting a HAM Radio license, and acquiring a ham radio. This is one of the few options to call for help outside the cell phone network. The Voice-of-Idaho ham radio club has a very nice repeater infrastructure that enable communication at many of areas we like to ski so much. Carefully inspect your touring bindings. Inspect and refresh the glue on your skins. Make sure you stash in your backpack topo maps for the areas you love to ski. Read again Snow Sense By Jill Fredston and Staying Alive in Avalanche terrain by Bruce Tremper. Both books have been recently updated! Consider becoming a subscriber to the American Avalanche Association publication "The Avalanche Review". Contact aaa@avalanche.org to subscribe to TAR ($30/year). Promise that you will check the Payette Avalanche and Sawtooth Avalanche Center forecasts the day before your backcountry tour, even if your ski tour is outside their forecasted areas. Commit to be friendly with snowmobile users and share your stability assessments with them. Remember during an emergency where Heli evac is not possible, we depend in snowmobiles for accident victim extraction to the nearest road.